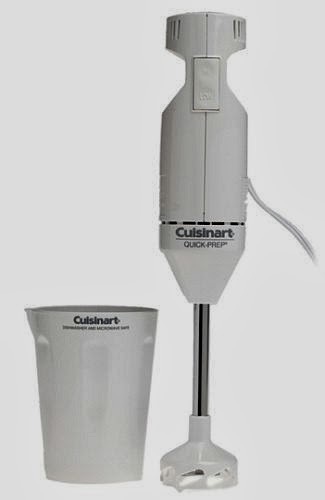 Amazon has got this Cuisinart CSB-33 QuikPrep Immersion Blender in white for $19.99 with free Prime/SuperSaver shipping. 4.1 out of 5 stars over 84 customer reviews. This is a great price on this immersion blender, which normally goes for about $25 or more. We use this model for Pesach. 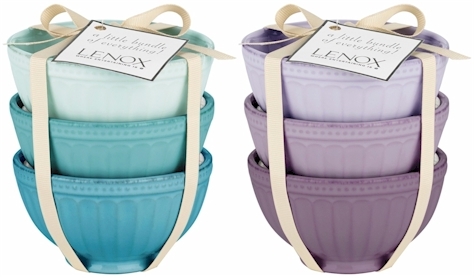 Amazon has got these Lenox French Perle Groove Bowls (set of 3) in both blue hues and purple hues for just $15.00 with free Prime/SuperSaver shipping. Today, 1/31/16, is the last day to claim 15GB of free cloud storage on Microsoft's File Hosting Service, One Drive. 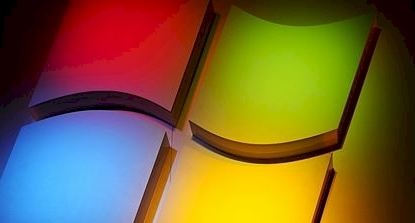 Starting 2/1/16, Microsoft will downgrade the amount of storage it offers OneDrive users to 5GB. Users who wish to maintain a larger storage capacity must register on OneDrive.com by the deadline. If you register through my referral link here today, 1/31/16, you will get an extra half gig of free storage in addition to the 15 gigs. 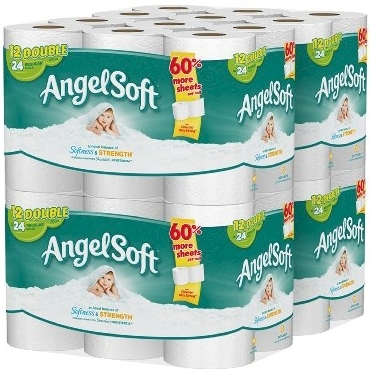 $20.30 - $3.00 coupon = $17.30 or $0.72 per Mega roll with the Subscribe & Save 15% discount (if you can take delivery of 5 or more active subscriptions in one month) . $22.69 - $3.00 coupon = $19.69 or $0.82 per Mega roll with the Subscribe & Save 15% discount with the standard Subscribe & Save 5% discount. 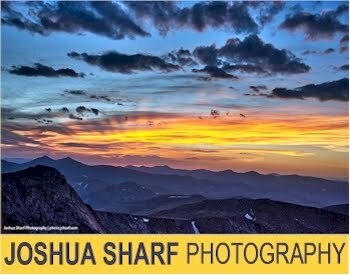 $18.69 or $0.39 per double roll with the Subscribe & Save 15% discount (if you can take delivery of 5 or more active subscriptions in one month) . 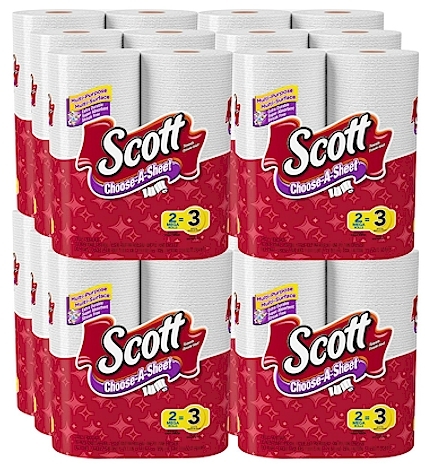 $20.89 or $0.44 per double roll with the standard Subscribe & Save 5% discount. $28.89 or $0.80 per box of 100 with the Subscribe & Save 15% discount (if you can take delivery of 5 or more active subscriptions in one month) . $32.29 or $0.90 per box of 100 with the standard Subscribe & Save 5% discount. 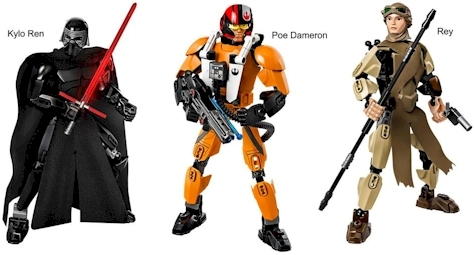 Creative KidStuff has got these six LEGO Buildable Star Wars Figures for $19.99 each. 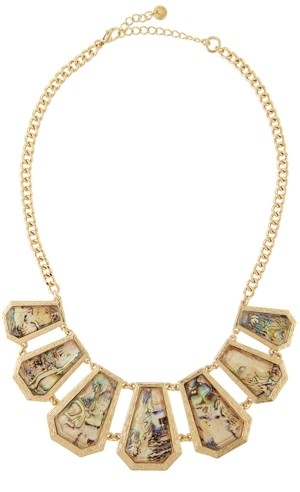 Shipping is a flat $4.95 and free shipping starts with a $99 purchase (enter promo code SHIP99 at checkout). I love it when innovators use smart technology to improve the tools we use for monitoring our health (and the health of our kids). Check out this new Smart Thermometer from Kinsa.You use it by plugging it into your smartphone and connecting it to the free Kinsa app. The app has a little bubble-popping game that your child can play while you're taking his/her temperature so that you can distract him/her. The temperature reading comes up in about 10 seconds. And the app actually tracks the temperature readings so that you don't need to write anything down and you can still keep track of your child's readings. This Kinsa Smart Thermometer is priced on the Kinsa website at $24.99, but if you buy it by clicking through this link, you can get it for $14.99 with free shipping! Fantastic, limited time deal. We don't have kids, but I think this idea is absolutely brilliant and I bought one for us. Please note that 1) even though the description says the skirt is denim, that doesn't refer to the material, but rather the design/print/color and 2) the side slits look to be on the high side, so if tznius is a concern, you will probably want to close at least part of those up, but for the price, I think it's well worth tacking down a simple seam. Neiman Marcus tie-dye stretch-knit maxi skirt with jacquard waist. Approx. 38"L from waist to hem. 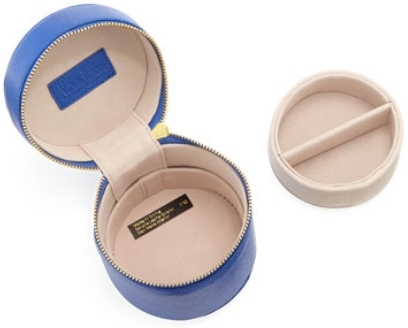 Neiman Marcus cylindrical jewelry case in saffiano leather. 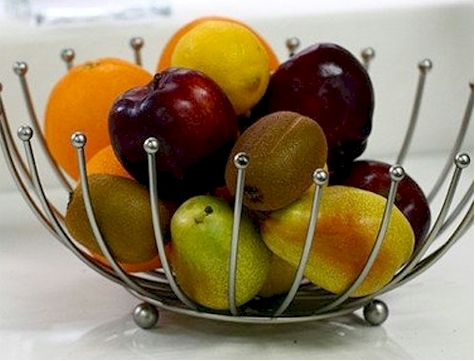 GearXS has got this Home Collections Satin Nickel Fruit Basket priced at $9.99, but enter promo code GXS-16 at checkout and that price drops by 16% to $8.39 with free shipping. Taking glucosamine for joint health? Get 5 bottles of 60-count Puritan's Price Glucosamine for $36.18 with free shipping. 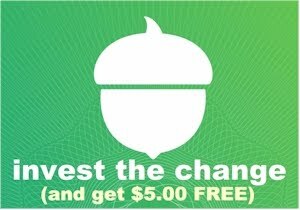 Just select 2 bottles at $21.59 each, get an additional 3 bottles FREE instantly (5 for $43.18) and then enter promo code LUCKY7S to drop $7.00 off your total. Shipping is free. Your total at checkout after the promo code should be $36.18 with free shipping for the 5 bottles. Puritan's Pride Glucosamine Hydrochloride is shellfish-free and under the kosher supervision of the Kof-K.
Got a little one with a creative mind who loves to make things? 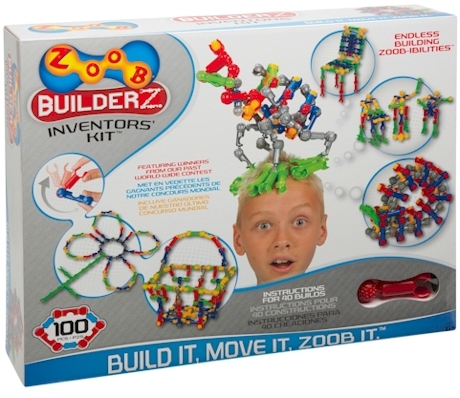 Amazon has got this 100-piece Zoob Builderz Inventors' Kit for $18.30 with free Prime/SuperSaver shipping. It got 4.6 out of 5 stars over 60 customer reviews (80% were 5 stars). 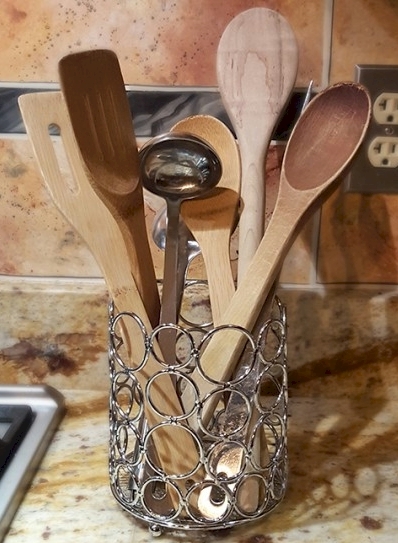 GearXS has got this great-looking cutlery holder for just $7.99 with free shipping. 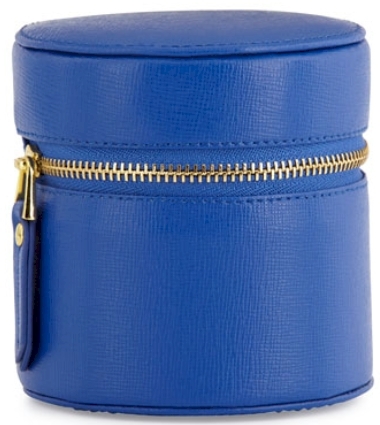 I bought two of these and I'm putting one away for Pesach, when my kitchen drawer and counter space are scarce. These cutlery holders are a major space-saver (and this one is so pretty). Amazon has got the Cuisinart Smart Stick in yellow for $24.69 with free Prime/SuperSaver shipping. Amazon has got this PNY 64 GB USB 2.0 flash drive for $12.99 with free Prime/SuperSaver shipping (20 cents per gig), the lowest recorded Amazon price on this PNY USB 2.0 flash drive. If you need a faster flash drive, Amazon has got this PNY 64 GB USB 3.0 flash drive for $14.99 with free Prime/SuperSaver shipping (23 cents per gig), the lowest recorded Amazon price on this PNY USB 3.0 flash drive. 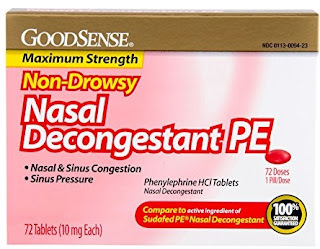 Amazon has got this 72-count GoodSense Nasal Decongestant Phenylephrine HCl tablets for $1.88, the lowest recorded Amazon price on this item, (which usually averages around $5.18 on Amazon). These tablets are basically the generic equivalent of Sudafed PE. 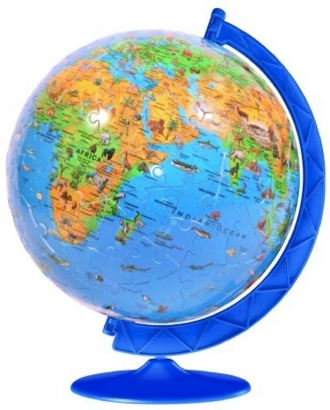 They received 4.4 out of 5 stars over 218 customer reviews and are an Amazon #1 Best Seller. Always consult your physician before taking any over-the-counter medication. 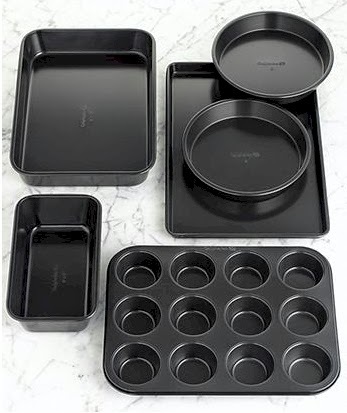 Amazon has this Simply Calphalon 6-piece bakeware set for $25.49 with free Prime/SuperSaver shipping. Pretty good price considering that a single Calphalon baking pan usually goes for around $15. This set received 4.5 out of 5 stars over 720 customer reviews. (I think this is easily one of the best kitchenware deals on Amazon. You could spend more than this on a Nordic Ware baking set with fewer pans. Wow! 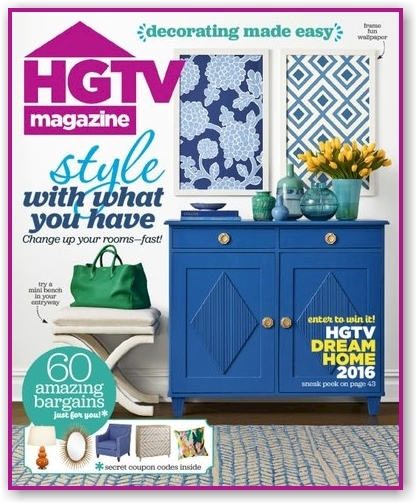 Talk about an expensive magazine that NEVER goes on sale. 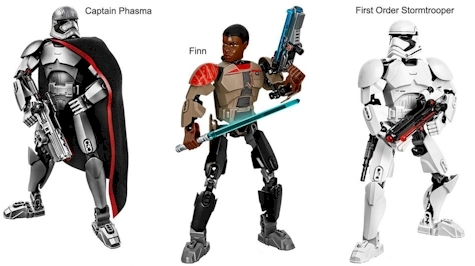 Compare to Amazon's price. And that is the price for a 1-year subscription. 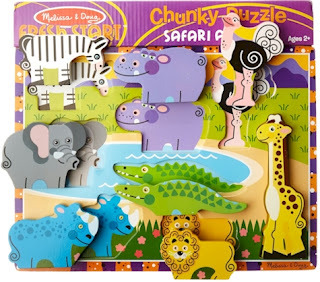 Melissa & Doug Deluxe Wooden Safari Chunky Puzzle, $5.99 with free Prime/SuperSaver shipping. 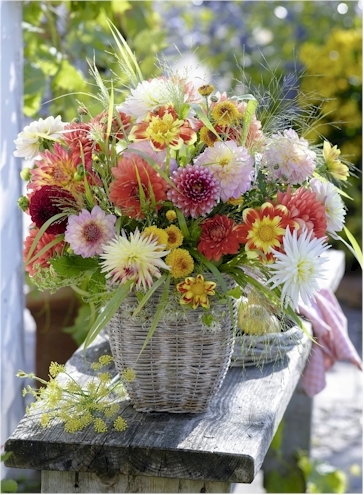 Ravensburger Beautiful Flower 500-piece puzzle, $7.00 with free Prime/SuperSaver shipping. 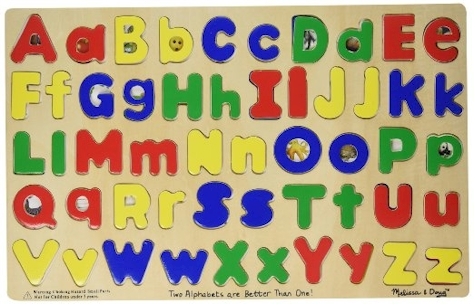 Melissa & Doug Alphabet puzzle, $8.50 with free Prime/SuperSaver shipping. These prices are good today, 1/29/16 only. 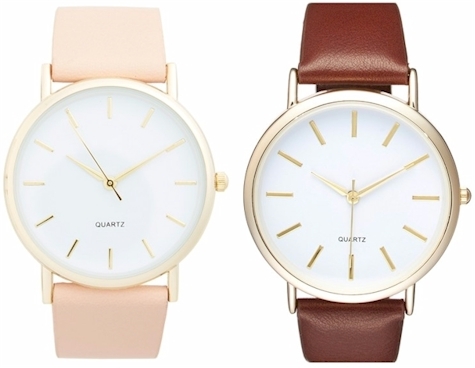 Nordstrom has got this BP Round Face Faux Leather Strap Watch, 35mm for $9.98 with free shipping. 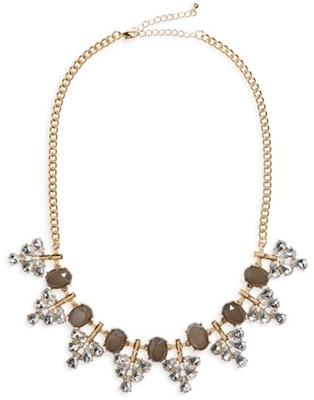 It comes in beige/gold and in brown/gold. 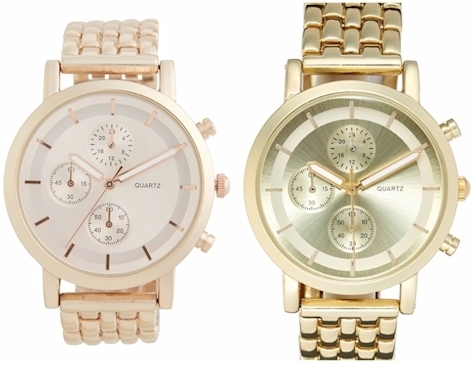 Nordstrom has got this BP Metallic Round Face Watch, 34mm for $10.98 with free shipping. 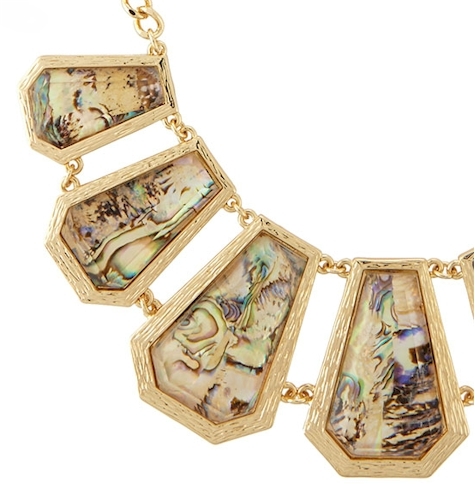 It comes in rose gold and in gold. 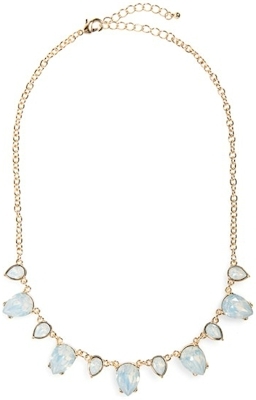 BP Teardrop Statement Necklace for $10.98 with free shipping and free returns. 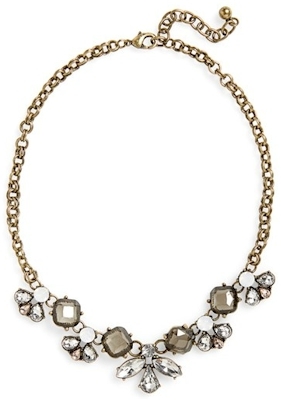 BP Crystal statement necklace for $11.98 with free shipping and free returns. If you've been reading Daily Cheapskate for a while, you must know what a huge Dyson fan I am. Investing in a Dyson has completely transformed the level of cleanliness in our house. Dysons are AMAZING. But I do understand that not everyone can afford to spend $300-$400 on a vacuum cleaner, no matter how great it is. Shopko.com has got a brand NEW (NOT refurbished) Dyson DC40 vacuum for $199.99 with free shipping. Wow. Just wow. Be aware that because of the pricing, this is a very limited time offer (meaning they can withdraw it at any time). Description: The DC40 is a lightweight upright vacuum featuring Dyson Ball™ technology; enabling it to navigate around furniture and tight spaces. This product comes in a new and factory sealed carton, featuring Radial Root Cyclone™ technology, which means it has remodeled airflows to maximize suction power. 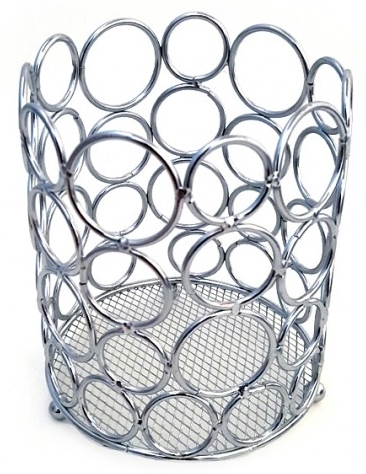 A mesh shroud helps separate large debris while inner cyclones generate powerful centrifugal forces, extracting microscopic particles like pollen and mold, all with no loss of suction. It also features a self-adjusting cleaner head-base plate automatically adapts to all floor surfaces, creating a seal to remove dust from carpets and hard floors, while protecting delicate surfaces. Long bristles penetrate deep into carpet, while shorter bristles remove surface dust, fibers and pet hair. 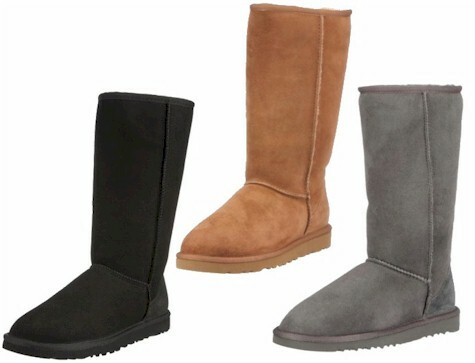 It is engineered with materials selected for their strength and durability. Includes combination tool that has soft bristles for gentle dusting and stair tool. 5 year warranty, parts and labor. Radial Root Cyclone™ technology-airflows remodeled to maximize suction power. Self-adjusting cleaner head-creates an efficient seal with every floor type, reducing air leaks and maintaining suction power. Ball™ technology-housing more components inside the ball reduces clutter around it - steers right up to edges and into difficult places. Instant release wand-wand and and hose stretch up to 5 times in length for stairs and hard to reach places. 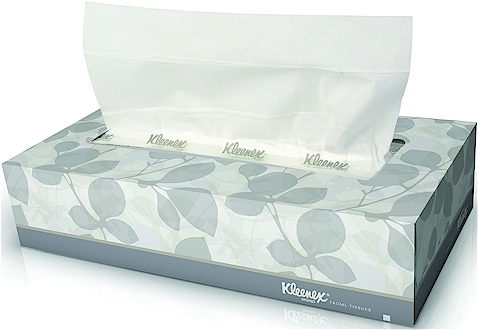 Captures allergens, expels cleaner air-DC40 captures microscopic particles such as pollen, mold and bacteria. Motorized brush bar-independent motor drives the brush bar for better cleaning performance. It's also easy to maintain. Fingertip controls-instantly turn the motorized brush bar off for hard floors, delicate floors and rugs. This product is new and comes in a factory sealed carton. Check out this new Smart Thermometer from Kinsa.You use it by plugging it into your smartphone and connecting it to the free Kinsa app. By using your smartphone, Kinsa takes advantage of 25,000X the processing power of a regular digital thermometer. Tapping into the smartphone’s power, processing and display also means there are virtually no electronics inside – and no batteries are required – so the thermometer is extremely lightweight and durable for carrying with you, and is always ready for use. 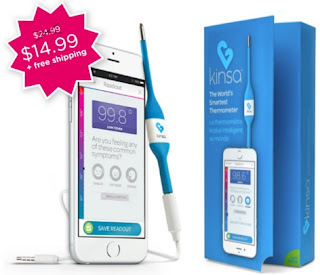 This Kinsa Smart Thermometer is priced on the Kinsa website at $24.99, but if you buy it by clicking through this link, you can get it for $14.99 with free shipping! Fantastic, limited time deal. We don't have kids, but I think this idea is absolutely brilliant and I'm getting it for ourselves. 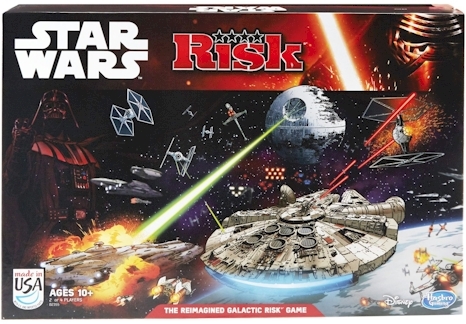 Amazon has got the Star Wars version of Risk for $18.08 with free Prime/SuperSaver shipping, the lowest recorded Amazon price on this popular game. It got 4.5 out of 5 stars over 74 customer reviews. (FYI, the average Amazon price on this game is $25.85). 10% off at 6PM this whole weekend!